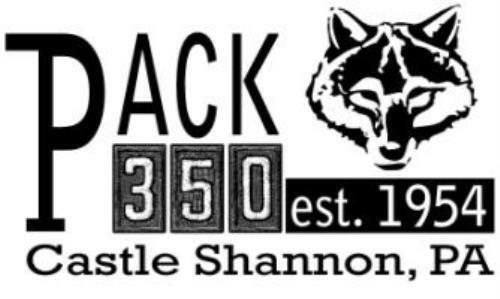 Pack 350 is Chartered through St. Anne's Catholic Church, located in Castle Shannon. St. Anne's has been a proud member of the Community for 125 years!! at St. Anne's Church in Harkins Hall at 7 pm. It is located at 400 Hoodridge Drive, Pittsburgh PA 15234. Activities are year-round that include camping, field trips, Pinewood Derby, and Holiday parties. Activities done in years past have included Cub Fun Day at South Park, Winter Weekends Camping at Heritage Reservation, and an overnight event with the Washington Wild Things. We continue to grow and bring Scouting to the community with great help from volunteers in community, church, and the Laurel Highlands Council of the Boy Scouts of America.